Cultivate your passion for creating texts that are meant to be performed in person, on film, on radio, or in new media such as podcasts. 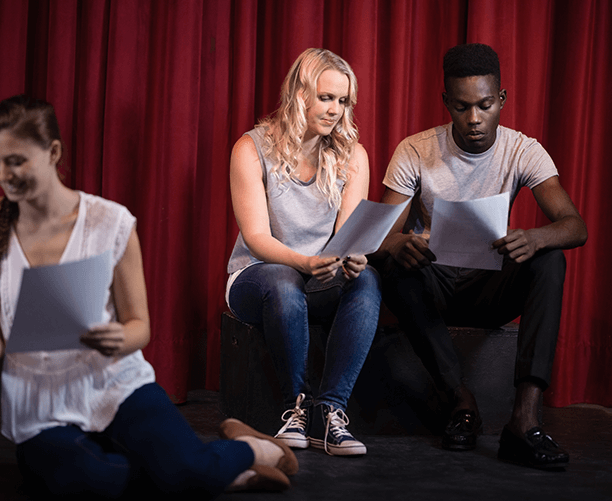 You’ll progress toward mastering the fundamentals of writing for the most popular kinds of performance in this program designed for aspiring playwrights, screenwriters, and spoken word artists. Hone the skills needed to excel in writing for the stage and screen while exploring influential masterworks. Apply knowledge of drama fundamentals and genres to your own creative work.